The Honda Pilot is a family-sized, full-size crossover that can seat up to eight people and hold plenty of gear. 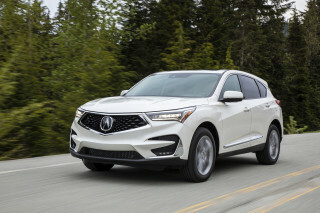 With the Pilot, Honda has a family SUV that shares some of its skeleton with the Honda Ridgeline pickup truck, Odyssey minivan, and more distantly, the Acura MDX luxury SUV. When it was introduced in 2003, the Pilot was originally marketed as a more car-like alternative to the mid-size utility vehicles that were based on trucks. 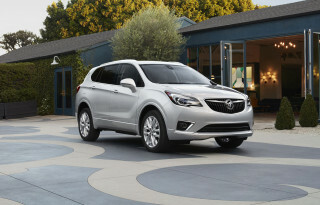 Completely revamped for the 2016 model year, the latest Pilot dropped its box-like styling for a softer crossover shape. It is a mid-size SUV that drives with the comfort and predictability of a family-friendly wagon—with or without optional all-wheel drive. The 2016 Honda Pilot was named The Car Connection's Best Car To Buy 2016. Its competitors—think Chevrolet Traverse, Ford Explorer, Toyota Highlander, and others—are almost all based on car platforms. With the latest generation of the Pilot, Honda redesigned the vehicle entirely. It's still built from bits and pieces that also show up in the Acura MDX and the Honda Odyssey, but the fresh styling has more in common with the best-selling CR-V crossover SUV. In this generation, the Pilot's powertrain got a boost. The new 3.5-liter V-6 is backed up a 6-speed automatic on base models and a 9-speed automatic on upper trims. The available all-wheel-drive system also has been redesigned, and the new model offers engine stop-start feature and standard cylinder deactivation. The Pilot can now seat up to eight passengers, with a split second-row seat that can expand for better comfort, or move to create more space for passengers to access the third-row seat—a third-row which can seat adults, which is a rarity in the class. The new Pilot borrows just about every active-safety feature from the Honda/Acura stable, including a new road-departure mitigation system. 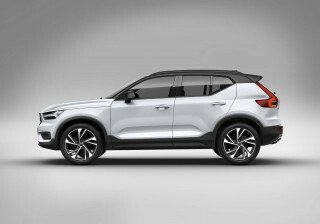 It's also much more focused on creature comforts and less intent on looking like a truck, which should work well in today's evolved crossover market. For 2017, the Pilot's sole substantial change is the addition of Apple CarPlay and Android Auto. 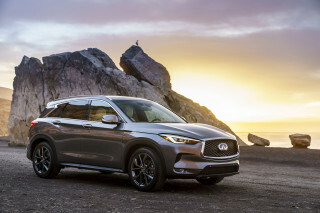 The SUV carried over unchanged into the 2018 model year. 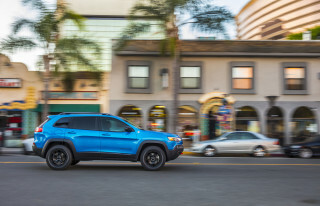 For 2019, the Pilot gets minor styling changes, revamped transmission programming, standard safety equipment including automatic emergency braking, and an updated optional infotainment system with a volume knob. That first Pilot offered good acceleration from a torquey 3.5-liter V-6 (making 240 to 255 horsepower), along with a smooth ride, respectable handling, and top-of-the-line safety ratings—including a roster of safety features (standard side and side-curtain bags and stability control) that was ahead of its time. A front-wheel-drive model was introduced in 2006 when the Pilot received a mild refresh. The second-generation Pilot, introduced for 2009, didn't quite appeal in the same way aesthetically as did the first-generation model. Its exterior seemed an attempt to look more macho and rugged—against the grain as more utility models were becoming smoother and sleeker. That boxy exterior paid off inside, however. The Pilot may have been the best family option for buyers who need the abilities of a minivan, but didn't want to be seen in one. The overtly boxy exterior of the Pilot yielded an interior that was chunky and utilitarian in design—which is to say not very attractive—but offered most of the appointments of a minivan. The second-generation Pilot fit up to eight passengers in its three rows. It offered a variety of trays, cubbies, and bins for small items throughout the cabin. Its instrument-panel design appeared a bit cluttered, and the materials were harder than most other vehicles in this class, giving it a somewhat cheap feel. Original Pilots had very cramped third-row seating, something Honda noticed and was able to fix for the current model. Tall passengers are much more comfortable back there, and this is now one of the more accommodating third rows as far as full-size adults go. The seats can fold flat when not in use to expand cargo room. For the 2012 model year, Honda improved the efficiency of the drivetrain slightly and made some cosmetic changes to the front end and interior. A rearview camera system—still much-needed for some Pilot drivers—was made standard for 2013. Unlike most Honda products, handling isn't at the top of the Pilot's to-do list. The suspension is soft and the tires have tall sidewalls, leading to a safe and comfortable ride. The current generation Pilot has been fitted with a more-potent 3.5-liter V-6—up from 250 to 280 hp for this year. The Pilot has also added more cogs to its automatic transmission—a 6-speed automatic in lower trims, or a 9-speed in higher ranges. The Pilot remains one of the safest vehicles in any class, with top crash-test results from both the federal government and the Insurance Institute for Highway Safety in frontal and side tests. The high seating position and boxy proportions afford a better outward view compared to many other curvier modern crossover designs. 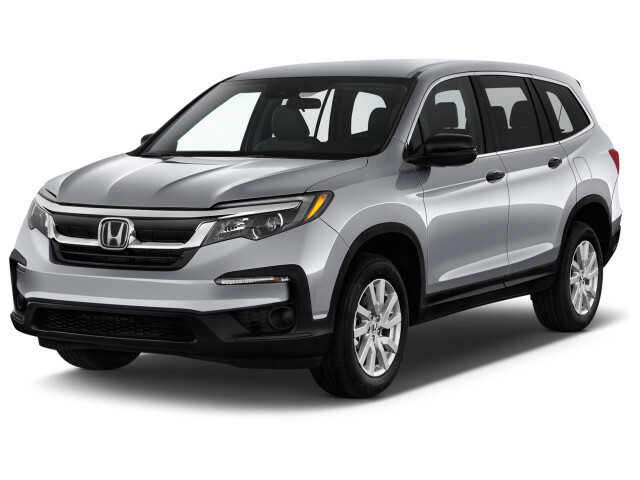 Honda has recently announced a series of recalls, affecting the Pilot going many years back, for airbag, parking brake, and fuel system issues. 1 - they removed the right hand mirror Camera. Dumb 2 - changed the left hand control button on steering wheel. Dumb 3 - Engine shutoff with brake should be an item you can select.